This is an instant digital download. There will be NO PHYSICAL PRODUCT shipped. 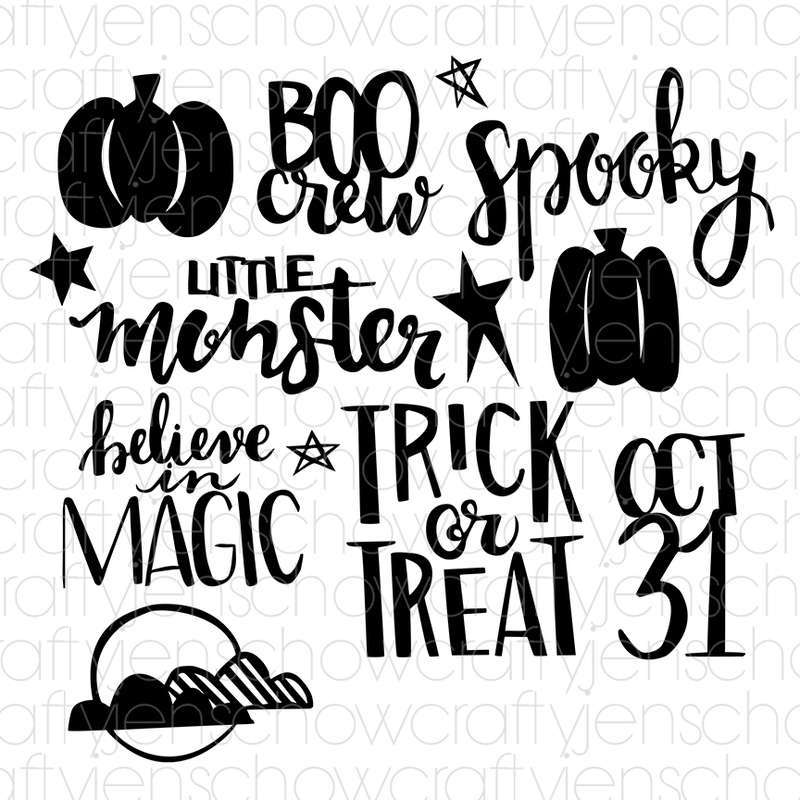 The Spooked Cut File includes 13 hand-drawn images and phrases perfect for scrapbook layouts or any paper crafting project!